For a perfect look every day , Individual Eyelash Extensions that last for weeks , ideal for holidays, Special days and every day . The totally natural look and feel. Only you will know they are not real. Natural wear: These perfect are perfect for daily wear or for an active lifestyle. You can shower, swim, spa and sleep problem free because eyelash extensions are waterproof and durable. You can enjoy having long, beautiful and thicker lashes 24 hours a day and for weeks at a time without hassle, inconvenience or the need for mascara. Natural look: These luscious lashes are so natural that no one will ever know the difference. They have a natural curler so you can throw away your eyelash curler. Lash Perfect come in various thicknesses, colours and lengths to beautiful blend with your own lashes and to suit your sense of style. 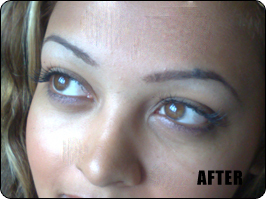 Semi-Permanent: Lash Perfect extensions are semi-permanent, lasting upto 8-12 weeks depending on the life cycle of your own natural lashes and regular maintenance. You will increase the time you can keep your lashes with 2-3 weekly top ups. Like your nails and the hair on your head, your individual eyelashs grow out on a continuous cycle of replenishment. Lash Perfect are available in different weights to ensure your natural look and feel. Can I wear mascara on lash perfect? If you choose to wear mascara, we highly recommend using Lash Perfect mascaras, whish are specifically formulated for use with Lash Perfect extensions. These mascaras are water washable, gentle and safe for lash extensions. Generally water-proof mascara, mascara remover ad some cleansers can disturb and weaken the adhesive bond of the lash extensions. Ask your Lash Perfect professional for a current list of available colours. 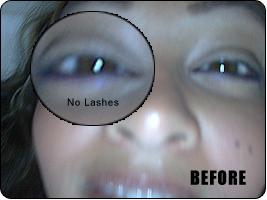 Generally Lash Perfect can lash up to 3-4 weeks from the time of application. The lifetime of your lashes depends on your hair grow cycle and lifestyle. A regular maintenance programme every 2-3weeks. Are the Lashes Good for Holiday? Yes Perfect! You can swim and shower with no problem. Lashes will look good on the beach and around the pool. Your eyes will always look glamourous and give the appearance of mascara. For full set £ 70.00 top-up from £20 to £30. Can I use my normal Skin Care product? Yes, providing you avoid the eye area as any products containing oil will loosen the lash adhesive. Eye creams in particular must be use with care. How long can I wear the lash for? Lashes can be worn for as long as you want to wear them, our only recommendation is that a fresh set is applied every 10 weeks. Can I have them if I wear contact lenses? Yes, there is on problem for customers who wear contact lenses; however we recommend you remove them before having them applied. HAIR EXTENSION - NO GLUE - NO HEAT - NOMESS!